Well with the winter, the fun and travel mood sets in. Just picture in your mind, the snowy solitude of the winter will create a serene landscape engulfing your soul. In fact, you will get fewer people coming into your park view and you may have the entire park all to yourself. There are warmer climate parks offering relief from the chill. Now if you are wondering about the perfect winter escape, then here are some of best national parks to visit this winter. Located right in Colorado above 12,000 feet is the beautiful Rocky Mountain National Park with more than 60 snow-capped peaks. The park is a heaven for those wishing to indulge in world-class ice climbing, snowshoeing, winter mountaineering and skiing. There are various campgrounds like the Moraine Peak, Longs Peak as well as Timber Creek campgrounds which are open around the year with excellent camping options. However be careful of avalanche’s in the Colorado’s snowpack region. This excellent Bryce Canyon park with its excellent rock formations draws more than 1 million visitors every year. Here there are hoodoos with iconic red rock spires with an exclusive dramatic heap of snow. Expect a chill, the temperature of the park drops during the daytime given its desert location. Here you can also indulge in various snowshoe hikes along with winter astronomy sessions with winter’s crisp and dry air. The most popular national park which offers a mild temperature with less humidity and very less mosquitoes is the exclusive Everglades National Park which is surely a great winter escape. Here you can also find animals like white-tailed deer and gray fox offering an exclusive wildlife viewing. Hard to find is the exclusive Florida panther but you will surely find crocodiles and alligators. You will also find various migratory birds settling for the winter season. During the summer, the temperature soars over 120 degrees in the Death Valley this summer which gives this place the title of the hottest place on Earth. But it is not the same in winter with the temperature being around 70 degrees. This Death Valley has everything from sand dunes to snow-covered peaks. Now if you want to indulge in excellent winter light and photography then Death Valley National Park is the perfect place. The winter and spring are surely the park’s busy and best seasons to visit. Now if you are looking for a time when the place is less crowded than the time between Thanksgiving and Christmas is certainly the idea. Big Bend bears the most appealing look in the winter being the largest protected area of Texas. Well the temperature is bearable hovering between the 60s offering the 200 miles of the park open to exclusive mountain biking trails and hiking opportunity. The Rio Grande River is flowing on the 100 miles borders of the park. In fact you can also indulge in canoe floats through the Grande River for half a day. Well a little tip that the elevation in the park may vary from 1,800 feet right near the river to nearly 8,000 feet in the Chisos Mountains so simultaneously the temperature may vary by 20 degrees right between the two. With 70 million years of volcanism and evolution, lies the Hawaiian Island chain. There lies the park of Hawaii Volcanoes National Park, famous of its tropical beauty offering you the ultimate winter escape. There lies the world’s two most active volcanoes namely Kīlauea and Mauna Loa. Just take a drive right to the top of Kīlauea and take look inside. Again this place is where you will have to be extra careful as the temporarily volcanic activity may close down the Crater Rim Drive right to the active volcano Kīlauea. If you plan to visit an entirely different world then Biscayne National Park located just 45 minutes away from Miami is the ideal spot. This is surely an underwater paradise with nearly 95 percent of the park submerged. There are nearly 500 species of fish present in aquamarine waters and swim right around the coral reefs. You can indulge in tours of glass-bottom boat or take advantage of snorkeling. Make it a point that exploring the park does require a boat. There are regularly scheduled boat tours raking visitors right to the coral reefs in a rented canoe or kayak. 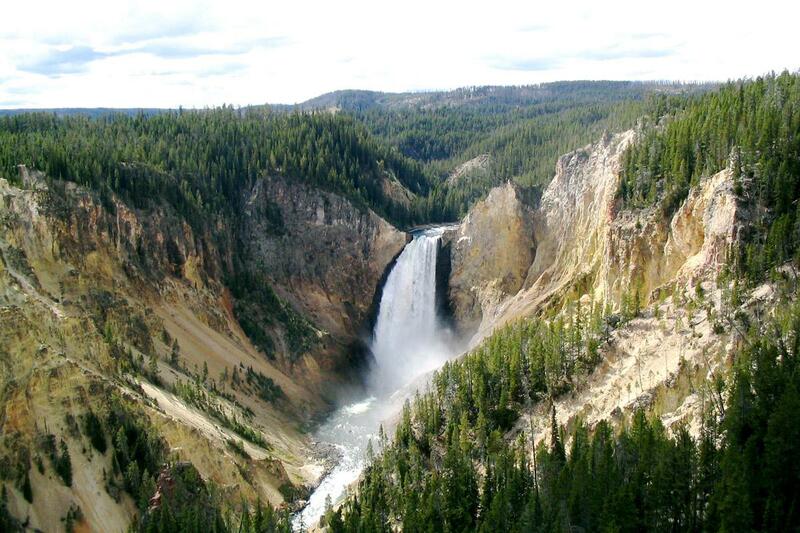 Well Yellowstone is not typically a winter destination. The park has a lot of snow with the temperature dipping down to the 20s even at the height of the day. But what not will you find in this exclusive park right from Geysers, hot springs, fumaroles offering an excellent contrast to ice and snow. You can indulge in snowshoe tours with cross-country skiing as well as guided snowmobile tours. Not all of the park entrances are open to traffic of the car in the winter. Plan to enter via the North or the Northeast entrances both of which lies in Montana. Not to mention is the Grand Canyon. Well there is the South Rim of the Grand Canyon which is open all the year around. There are warmer winter temperatures with the highest one in the 40’s and better accessibility rather than the North Rim making it a stunning, unusual winter vacation. The park attracts more than 5 million visitors right during the winter. Located just below the rim of the canyon floor is Phantom Ranch which offers jaw dropping hiking trails with temperatures ranging from 50s to 60s. In fact the Grand Canyon is often regarded as one of the trending destinations to view glorious sunrise. During the time of Christmas, a tree is erected at the President’s Park. This tradition dates back to 1923 with the 48 foot Balsam fir placed on the Ellipse south of the White House. There is a annual tree lighting ceremony taking place in early December where live performances are held in the park for the rest of the month. Learn about the Christmas schedule as early as you can from various love websites.